Coconut Overnight Oats with a lot of sweet Berries - simply & healthy vegan recipes that taste amazing! 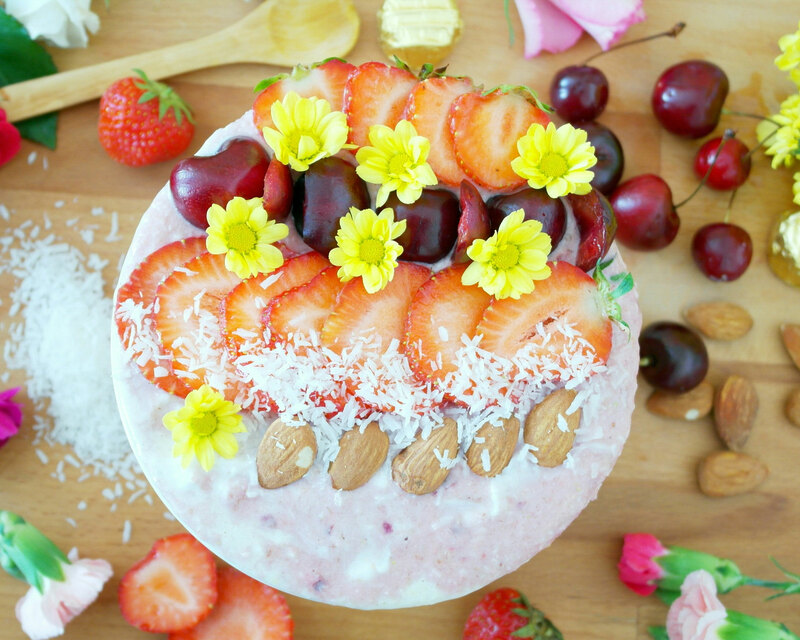 Whisk together all ingredients exept the berries, banana and coconut cream, in a medium sized bowl. Spoon into a jar with a tight-fitting lid. Close and refrigerate overnight. The next day: blend the berries and banana in a blender for about 1 minute. Blend the coconut and oats separately for 1 minute. 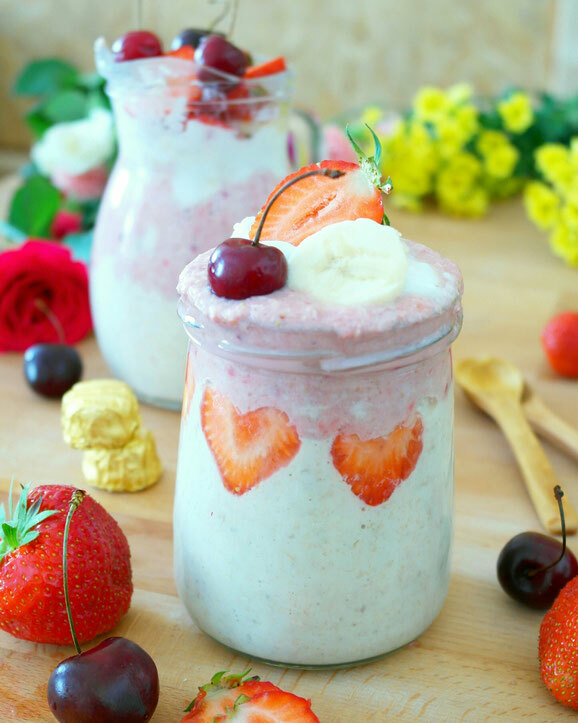 Fill the overnight oats in glasses with the berry-cream and topp with coconut cream and some more fresh berries. Alle Zutaten außer Beeren, Banane und Kokos Creme in einem Behälter oder Gläser zusammen rühren oder kurz in einem Mixer pürieren lassen. Die Beeren und Banane kurz in einem Mixer pürieren. Getrennt die Overnight Oats kurz mixen. Die Beeren Creme mit dem Overnight Oats in Gläser schichten oder zusammen mischen. If you like my recipe and have a question or just want to leave a feedback, use the comment field below!